The Memorial area of Houston, Texas, typically experiences about 100 days each year with temperatures in the mid-90s or higher. 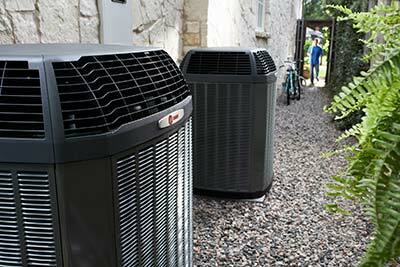 A properly functioning cooling system is critical to your family’s health and comfort throughout the summer months. At All Out A/C & Heating, we specialize in providing the tender loving care your air conditioning system needs to perform optimally even in the hottest part of the year. Our Memorial air conditioning repair team can provide you with top-quality repairs at affordable prices to ensure that you stay cool and collected even when the weather is scorching hot outside. All Out A/C & Heating technicians are available seven days a week, 24 hours a day to provide emergency repairs for your HVAC system. We stand behind the work we do and offer a 100 percent guarantee to ensure your complete satisfaction. By entrusting your cooling system to our talented team, you can be certain that your Memorial AC repair services are performed promptly and according to industry standards. 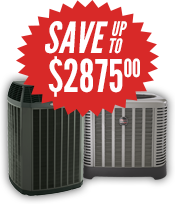 If a replacement system is required, All Out AC & Heating can install top-quality equipment from name-brand manufacturers that include Ruud and Trane. These high-efficiency systems can provide years of reliable service while reducing your monthly utility bills and ensuring optimal comfort for you and your family. Regular maintenance from the air conditioning professionals at All Out A/C & Heating can help keep your HVAC system running smoothly even when the temperature outside rises to uncomfortable levels. Scheduling a tune-up can ensure that minor problems are addressed promptly to prevent unexpected breakdowns during the hottest summer days. By working with our Memorial HVAC repair team to ensure that your air conditioning equipment is ready for the hot days ahead, you can enjoy the greatest degree of comfort this summer. All Out A/C & Heating also offers a full lineup of air purification products that work with your existing system to remove dust particles and pollutants from indoor air. These advanced add-on systems are designed to provide real protection for family members with sensitivities or allergies to dust and mold and for those suffering from respiratory ailments that can be triggered by pollution inside your home. Our tech team can provide you with expert guidance when choosing the right solution for your indoor air quality issues, allowing you to provide a healthier environment for your whole family. 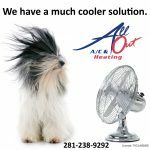 At All Out A/C & Heating, we go the extra mile to ensure that your home is cool and comfortable during hot Texas summers. Our friendly and courteous Memorial AC repair technicians can provide you with the most cost-effective solutions for all your heating and cooling needs. Give us a call at 281-238-9292 to schedule an appointment for repairs or maintenance and to experience the best customer service in the Houston HVAC repair industry for yourself.